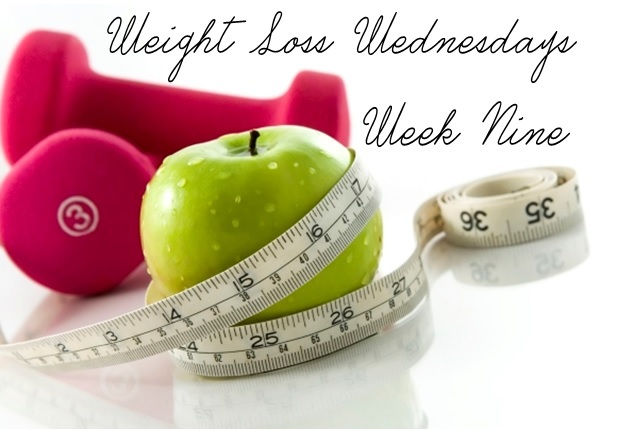 Albeit a day overdue, hello and bonsoir to week NINE (I can't believe I've kept this up for so long..) of Weight Loss Wednesdays. I've most definitely noticed a reduction of pace in weight loss, but that may well be due to the 'muscle building' I've been doing and the lack of water weight I have left! I hit a bit of a plateau recently and instead of panicking or throwing in the towel, I rode it out and subtly tweaked a few things and hey presto, I'm now past the 2 stone mark without too much trauma. Plateaus = panic and demotivation so here are those 'tweaks' I made, hopefully they can help you! - Calories. Counter intuitive perhaps but it's quite possible that you've been depriving your body of the calories it needs, after all, it doesn't know your good intentions, that more food will be coming. I actually doubled my calories for a couple of days and didn't put on a single lb. - Carbohydrates. I'm not doing low carb, because I don't want to be one of those miserable people who eat lean meat and vegetables all day - that is no life to live! But I have been trying not to eat the very naughty carbs like donuts, crisps, biscuits and baguettes, which over the last 2 months has evolved into not really eating cereal bars and sugary yoghurts etc. Well I'm glad to report that I added things like the latter two back in, which has seemed to help. - Dairy. Similar to the above, I stopped eating dairy for 6 weeks or so and I imagine it helped during that time, but I've since reintroduced milk and yoghurts and I'm back to losing weight. - Water. Before you scream at me to change the record, it's failsafe! Drink more water, drink more green tea, try it for a few days, you'll be surprised. - Exercise. 2 months in and it's perfectly reasonable to think that my body is getting used to the exercise and strain I subject it to. So I added a little more jogging to my walk, tried to do Jillian's dvds when I have the time (i.e. never), a very sad prospect for me but more effort = change. In short, change things up. If it's calories, try going higher not lower. With exercise, change your workout or increase the intensity. These are the things I did to break my plateau and obviously may not work for everybody but I welcome you to try them if you so wish and hope they help! You have done amazingly in 9 weeks! Congratulations on reaching the 2 stone mark and for sticking at it for so long! I hope I can do the same. I stumbled upon the #BloggersWLW yesterday and decided to give it a bash. Today is day one and I'm excited to get going, although I am one of those low carb miserable people, at least for a week. I find it a great way to kick start a diet. I've posted about the #BloggersWLW so I'll leave my link below if you would like to have a gander! I have fallen off the weight loss wagon for the last week but I'm back on it today. I use the Fitness Pal app which really helps me keep on track.